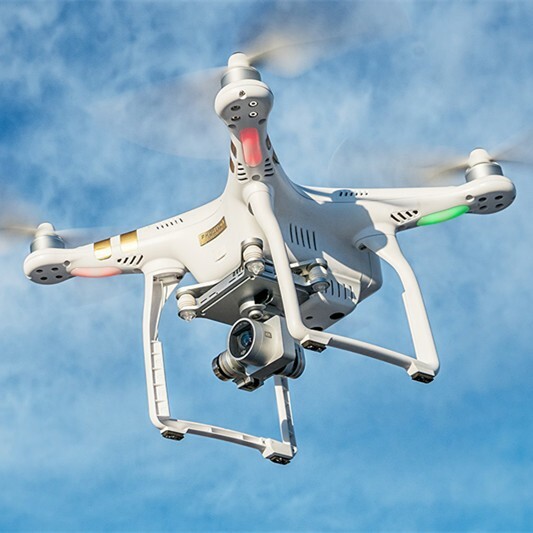 An unmanned aerial vehicle (UAV), commonly known as a drone, unmanned aircraft system (UAS), is an aircraft without a human pilot aboard. When making an UAV, printed circuit boards and plenty of components are required. Saildrone is a company that's exploring new horizons with autonomous drones that sail the seas, gathering data as they go. Drones are slowly becoming integrated into modern life including military use, spectacular image caption, and even item delivery. It won’t be long before Google’s self-driving cars see everyday use. So with the air and land conquered by these autonomous devices, it would only make sense for drones to begin their takeover in the sea. Saildrone is a company that produces small drone ships which gather information from sensors as they sail the seas. The data they log can be streamed back live via satellite (radio circuits) and can be used by individuals or companies through a custom API. Recently, the company has raised $14 million to obtain data from the oceans using their autonomous drones. Sensor mapping of the SailDrone. On top of the wide range of sensors, there is also an additional 250 pounds (113.398 kg) of extra sensor capabilities. So customers could customise and integrate their own sensors into a module and fit into the Saildrone for measurement. But the payload is not limited to just sensors! The payload can also be used to house just about any equipment including a launch platform for other UAVs. This means that a Saildrone could be used to follow a school of fish or whale while an on-board flying drone can capture images not possible by humans. The live stream access to the Saildrone may even enable a user to control the drone from a station just about anywhere on the planet. Drones can be used as payloads—only the weight and size matters! Image courtesy of Parrot. With the large number of sensors on the Saildrone, there are a few that are more uncommon in everyday technology. A fluorometer is a sensor that measures the fluorescence of chemicals and biological matter. It works by emitting a specific wavelength of light and then measuring the photo-emission as a result of excitation. By sweeping the wavelength of the emitted light, it can build up an emission spectra and thus determine what molecules are present in the substance under test. An example of why this would be on Saildrone is because of bioluminescent organisms in the ocean. This sensor equipment measures the temperature of the sea water surface (thermo) and the salinity (salin) of the water. This is important to record as surface temperatures are vital to climate change models and the salinity of sea water can help to understand how life is affected by such levels. For example, the dumping of fresh water rivers into the sea results in decreasing salinity levels and can affect water temperature. An anemometer measures wind speed but how it does this depends on the sensor type. The basic version involves a blade fan or cups connected to a shaft that rotates a small dynamo. The EMF induced is directly proportional to the rate of change in magnetic flux that cuts across the dynamo coils and thus the EMF induced is directly proportional to wind speed. Another type of anemometer uses a small piece of wire that is heated up to a known temperature. If the wire is exposed to moving air (wind) the wire cools down and the greater the drop in temperature relates to a stronger air flow. It's amazing to think of the possibilities that this drone, a device that can navigate itself around the seas, opens us up. Imagine the situation with Brexit where the British fishing grounds are given back to UK control. UK fisheries may see a boom in demand in UK-caught fish which could potentially lead to overfishing. These drones could be used to follow fish schools and keep an eye on populations. The population of fish is also affected by the climate so these drones can also give us early warnings about depletion in natural resources. What about the environment's relationship with oil drilling? The UK has several offshore oil rigs which have been known to have accidents in the past. The UK shoreline is also unforgiving to many who venture on the sea and can cause oil spills from large tankers. It was only a year ago that a ship carrying cars and JCB equipment ran aground during low tide and nearly capsized. These autonomous drones can be utilized to measure the environmental impact on the ocean by measuring levels of chemicals such as oil and waste products. The capsized cargo carrier off the coast of the Isle Of Wight. I remember seeing this close up! Image courtesy of the DailyMail. What about the hobby field for such drones? Whenever technology reaches a new landscape, it is never long before hobbyists quickly move in thanks to inspiration. Having been raised on an Island with a heritage in seafaring, it is no surprise that I am excited to see the possibilities that these drones present to both designers and hobbyists alike. Keep your sharing like this. You have made a nice post and I really learned a lot from you. It will help me work out my new project.